They could swap batteries in 15 minutes. 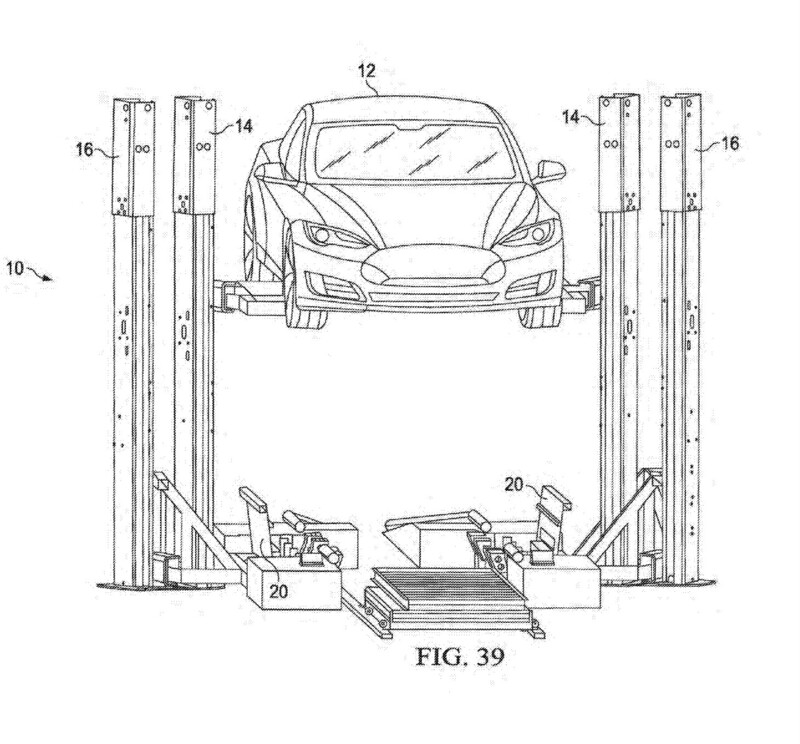 Tesla has filed a patent application for a machine that will enable technicians to swap EV battery packs in as little as 15 minutes. The EV-maker initially toyed with the idea of building rigs that can quickly replace its cars' battery packs back in 2013 -- it even demoed the system at an event. That didn't quite pan out, but it clearly hasn't given up on its plans of providing customers a quick way to get their packs swapped out. As Electrek notes, the new design is more compact than the one it showed off a few years ago and could even be mobile, probably so it could easily be placed in strategic locations where Superchargers aren't available. As you can see in the image above, the rig has the power to lift vehicles, allowing technicians easy access to the whole car as they help the machine change batteries. It won't enable 90-second swaps like what Tesla originally promised, but waiting for 15 minutes isn't bad at all if you find yourself low on power while driving between cities or states and there's no Supercharger nearby. The rig in the patent was designed to service the Model S and X, but it's not hard to imagine Tesla making one that its electric trucks can use.